Increase your fibre optic bandwidth with ease! Extend your fibre infrastructure with our reliant and easy to maintain xWDM multiplexers Lambdaway and Lambdatrail. You want to intrude more services and therefore need more capacity? Our systems are extremely flexible and completely transparent to protocols and applications. Our equipment has redundant power supplies and fans. So is provided for high availability. Our multiplexer Lambdatrail and Lambdaway can be expanded flexibly according to your needs. Our devices are of course monitored by a management system, but do not require maintenance. Reliable and secure transmission of your data has top priority. 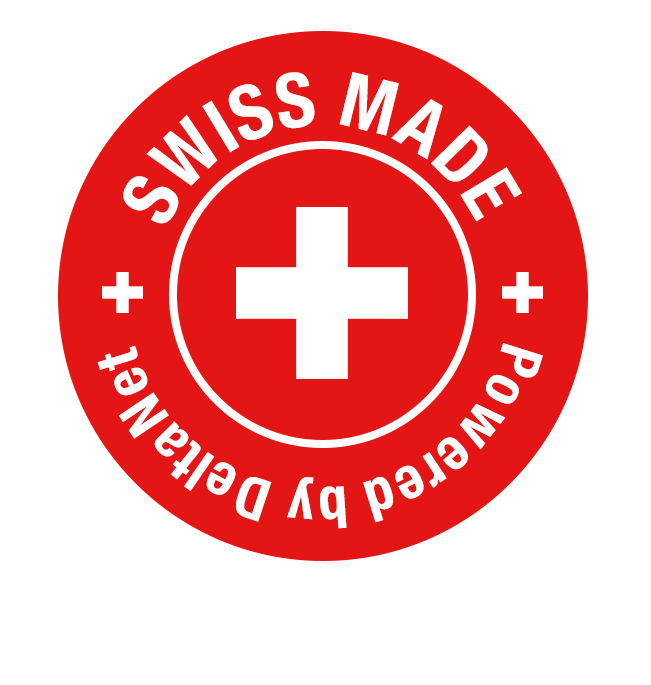 That's why we provide reliable Swiss quality. Compact design, up to 2 devices in 1U 19"
Initially DeltaNet has been established as system integrator. But since a few years now DeltaNet entered the manufacturing business with focus on to fiber optic environment. A big and happy customer base with DeltaNet products drive the company to engage more and more in developing new solutions that are needed in the market. The Bern University of Applied Sciences links three regions with 37 locations across a 170-kilometer fiber network. The two main nodes in Bern and Biel are connected using CWDM technology by DeltaNet. 17 other sites are connected with Lambdaway products. The price/performance ratio of these products is outstanding. Thanks to the xWDM products, we can optimally utilize our fiber optic network and thus reduce costs. TON Total Optical Networks AG uses Lambdatrail as an important element within their backbone. By evaluating the platform we wanted to find a compact and space saving solution which is really carrier grade. That means for example that power supplies and fans are redundant. But also that channel extensions can be done without interfering already running services. And of course the possibility to manage the device serviceably "remote" and "in band" convinced us to choose that platform. In other words a “Swiss Product” and thus a reliable selection. We are an ISP and use Lambdaway everywhere we need to rent dark fiber from other providers. Thanks to Lambdaway we are able to multiply such connections on either end and to extend them with our own lines in an ideal way. Because of the devices do not need any power they can be placed very flexibly in various locations - the TCO of those network element makes even our CFO happy. SWITCH runs a powerful network for the Swiss universities. The Lambdaway multiplexers from DeltaNet are in use for some of our backbone links. With Lambdaway our expensive fibre infrastructure can be used in a flexible way. It allows to provide additional and cost-effective services to the universities. Whether CWDM, DWDM, Hybrid or bidirectional - with Lambdaway and support by the experts from DeltaNet even customized solution can be implemented - professionally and at short notice. Get informed of the DeltaNet newsletters up to date with the attractive offers.